Great Britain are heading to EuroBasket Women 2019 next summer. Chema Buceta’s side emphatically clinched qualification with a 83-42 destruction of Portugal on Wednesday that secured top spot in Group D with a 5-1 record. No nerves, no hesitation, no doubts. A spot in Serbia-Latvia secured. 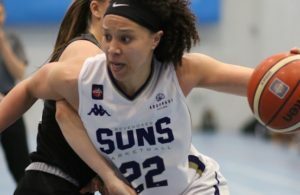 So too a badly-needed shot in the arm for British basketball and its beleaguered national federation after six months of internal turmoil and politicking that has done little to change the perception of a sport in disarray. GB Women are the honourable exception, the shining light. In Manchester, they rolled past the visitors with a performance which illuminated the occasion. Ferocious defence anchored by Temi Fagbenle and persistent ball pressure. 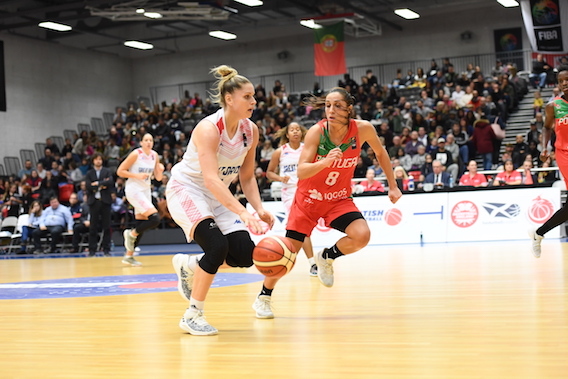 A confident offensive effort spearheaded by a game-high 21 points from Rachael Vanderwal whose perfect 5/5 shooting from three-point range did so much to break the Portuguese resistance open. In truth, the tide never turned back following an early bombardment. The hosts rolled into a 15-4 lead and never ceded control. 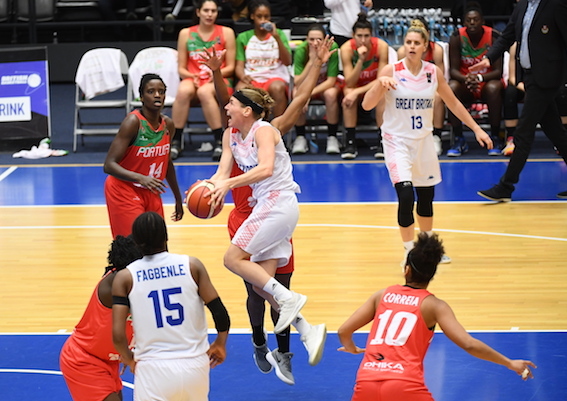 A 13-3 start to second period extended GB’s lead to 29-11, Portugal corralled without a field goal for 9:03 before Marcia Costa drained a jumper. Jo Leedham was a one-woman wrecking ball, adding 18 points, 12 rebounds, seven assists and four steals. A backcourt strip turned into an impossible drive through rush hour traffic, inspiration in motion. And although a 7-0 run from Portugal teased Buceta into a timeout with 19 secs left in the second, a 33-19 half-time advantage seemed impregnable. With Greece defeating Israel 83-57 earlier in the day, the equation was simple and destiny within British hands: an outright victory and GB would advance onward. 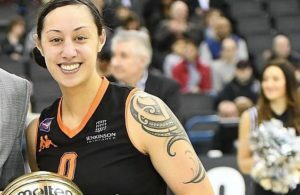 Any chance of an improbable denial was ruthlessly erased with a 6-0 run to start third until Lavinia da Silva dropped in a bank shot almost four minutes in. The guests, eventually paced by nine points from Ines Viana, could not buy shots, witnessing seemingly simple drives to the rim miss their target as they were denied pick and rolls and open attempts. They shot just 21% from the field. 23 points conceded off turnovers told its own miserable tale. Fittingly, there was a vital farewell showing from retiring forward Azania Stewart with the 2012 Olympian, on her 101st appearance for GB and the last contest of her career, providing three successive home scores amid an 11-2 run capped by yet another three from Vanderwal. 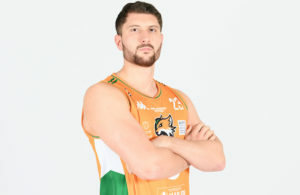 53-27 in front at the start of the fourth, Buceta’s troops marched towards a celebration with each passing minute with even veteran captain Stef Collins draining a three in a late cameo following an affirmative 14-0 burst. Stewart accepted her deserved ovation when leaving the stage with 1:21 left. Her colleagues will now gladly carry on the torch. Soon the question will be just how far this group might go at EuroBasket with cohesion and confidence in their armoury. But for this night, it was about progressing, about doing a job, about a huddle of joy at the end, and Great Britain went above and beyond. GB starters: Vanderwal, Samuelson, Leedham, Stewart, Fagbenle. Greece, along with Bosnia, missed out on becoming one of the six best group runners-up to earn spots at EuroBasket by virtue of points differential. Also qualifying on Wednesday were France, Italy, Belarus, Montenegro, Ukraine, Sweden, Belgium and Hungary. Already Qualified: Latvia, Serbia (co-hosts), Spain, Russia, Turkey, Slovenia, Czech Republic. The draw will be held on December 12 in Belgrade. The finals take place from 27 June – 7 July.